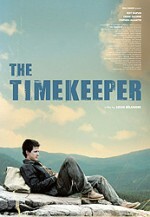 The Timekeeper, based on the novel by Canadian writer Trevor Ferguson, is set in the Fall of 1964. 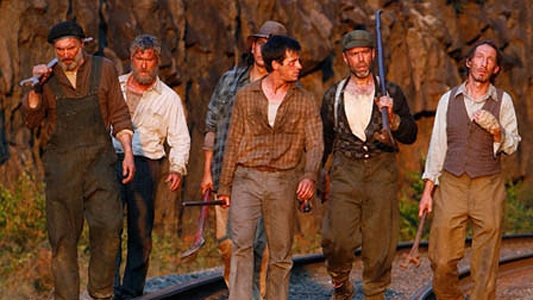 A rag-tag collection of workers; drifters, drunks and thieves, all shanghaied from bars by an iron-fisted foreman named Fisk, struggle to complete the last 52-mile stretch of the Great Slave Lake Railway. Eighteen-year-old Martin Bishop is flown in as the new timekeeper for the work crew, the previous one having “disappeared.” Bishop soon discovers that things are far from ordinary at this isolated camp; not following the foreman`s rules can result in being thrown out of camp into the expansive and unforgiving wilderness. Bishop refuses to play Fisk`s game, and finally wins himself a severe beating and ticket into the endless woods. Confronted by almost certain death in the wilderness, Bishop discovers survival skills he never knew he possessed. As Bishop and Fisk head for a final showdown, the line between good and evil becomes increasingly difficult to find.